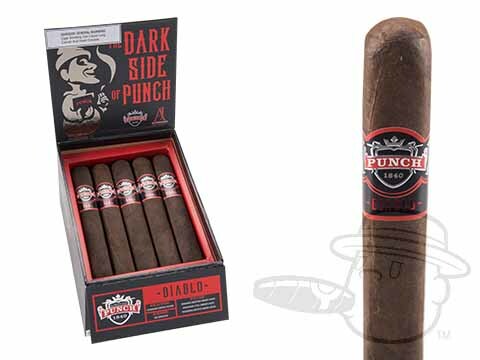 Introducing the most powerful Punch cigar of all time: the devilishly delicious Diablo. 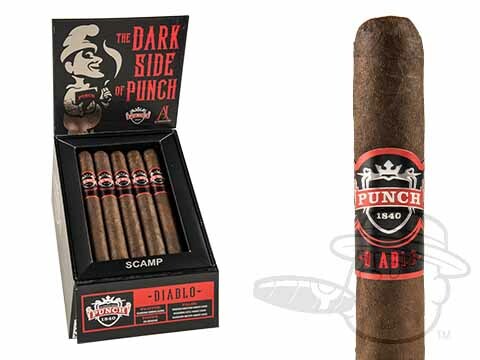 Crafted by Master Blender AJ Fernandez in his factory in Estelí, Nicaragua, the Diablo features an unmatched beefy blend of rich Nicaraguan and Honduran Habano ligero tobaccos under a US Broadleaf binder and dark and toothy Oscuro Ecuadoran Sumatra wrapper. 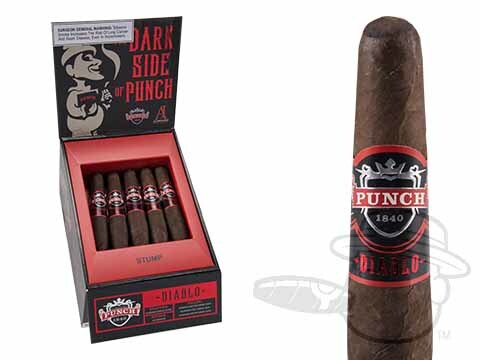 Ferociously full in both body and flavor, the Diablo conjures up a wickedly tasty, complex, and adventurous profile with bold notes of Cuban Coffee, black cherry, cacao, and roasted marshmallow with an intoxicating woody and leathery aroma. 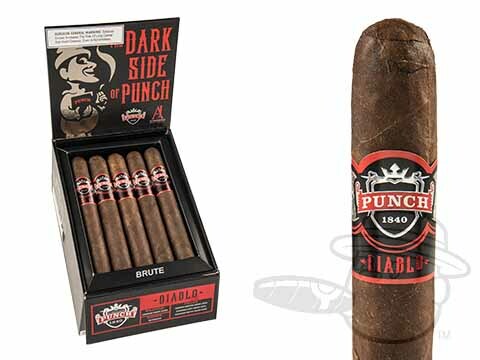 Give into temptation and follow Mr. Punch into the darkness. Submit your senses to the forbidden delights of Punch Diablo now.